Thought everyone in the country was aware of the Civil War sesquicentennial, especially in the month April when so many key Civil War dates occur. Then I mentioned it to my wife and was surprised to learn that she had no idea. That’s a failure on my part within my own house! Glad that I didn’t have to live through the American Civil War but still feel a part of it, even though nearly all my ancestors were still in Scandinavia at the time. Two of my wife’s great-great-grandfathers served in the Union army during the war, and I’ve looked up their units to see what action they saw. 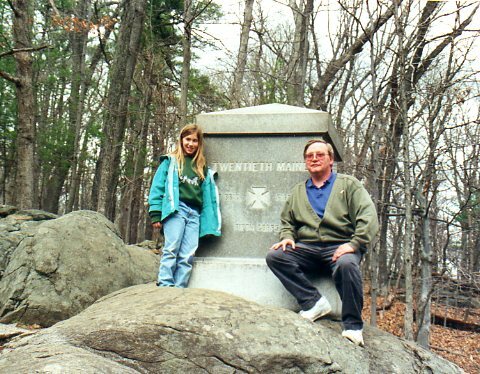 My daughter and me years ago on Little Round Top, checking out the memorial to the 20th Maine. Here’s what I learned about the Civil War in high school. The South lost. It was all about Lincoln and slavery. It started at Fort Sumter, the tide turned at Gettysburg and it ended at Appomattox. Robert E. Lee was a cool and revered dude. 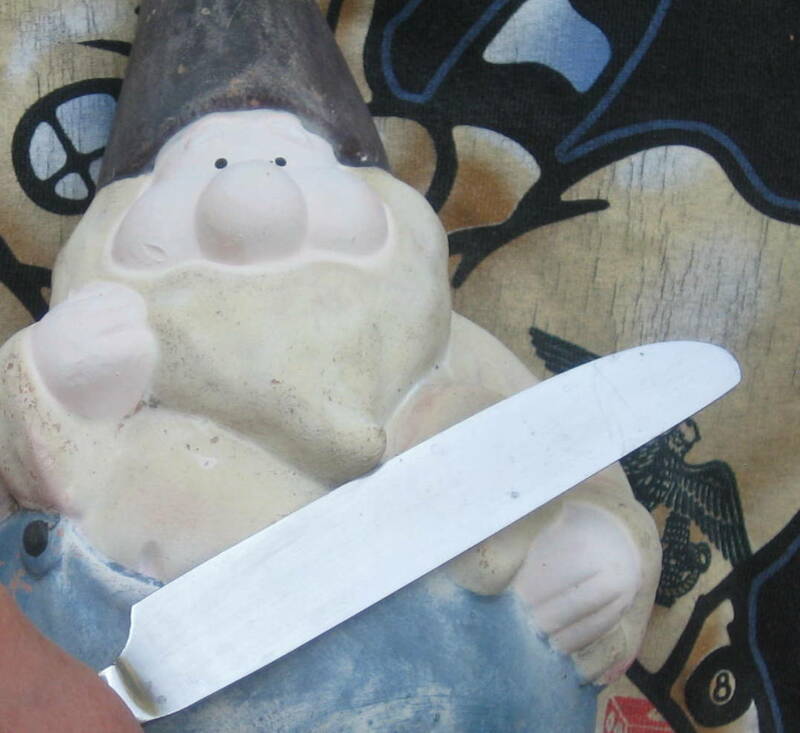 U.S. Grant wasn’t, but he could operate a steamroller. I think that got me a “B” on that week’s history quiz. Never took another class about the war or any more Civil War tests except for questions posed to Jeopardy answers. Since then, however, I’ve done some reading on my own and developed a deeper appreciation of what many see as the most significant event in U.S. history. Basically, there are two camps when it comes to talking about the cause of the war — slavery or states’ rights — and there’s no question that slavery brought the war to a head in 1861. But I’m not so quick to dismiss the so-called Lost Cause logic of the states’ rights side. Perhaps I’m a rebel at heart, because I grow more sympathetic to the states’ rights side every time the federal government imposes on my civil liberties. My interest in the Civil War was stoked by my first visit to Gettysburg in the early 1980s, when my wife and I were literally blown off the Pennsylvania Turnpike by a late-summer thunder storm while hauling her sister to school at Slippery Rock. The booming thunder, lightning, wind and driving rain simulated battle conditions as we sought shelter while driving into town from the north in same direction from where the Confederate troops came on the opening day of the battle. Stayed up most of that night, reading brochures about the Gettysburg battlefield and plotting the next day’s mini-tour, conducted in beautiful morning sunshine. Ken Burns’ Civil War film series in 1990, which featured historian Shelby Foote, recharged my interest, and I followed up by reading Foote’s epic, three-book history about the war. I’ve since read more and followed up with visits to several other battle sites that include Sharpsburg, Harper’s Ferry, Manassas, Fredericksburg and Spotsylvania Courthouse. Just saying, there’s something spiritual about walking those famous battle grounds. Adds greater perspective after reading about them. I’d encourage anyone to check out Civil War sites across the country. Perhaps even attend a Civil War re-enactment. You might find it enlightening. As a member of the Civil War Trust, I also encourage others to support efforts to keep battlefield sites from being paved over and lost to urban sprawl. 7. The engine house at Harper’s Ferry, site of John Brown’s failed raid. 8. Chancellor House ruins in Chancellorsville, plus the unmarked site near the Chancellorsville Interpretive Center where Stonewall Jackson was shot by his own troops.